Jack Buchanan Grand Rapids Michigan. Grand Rapids Lawyer Jack Buchanan. 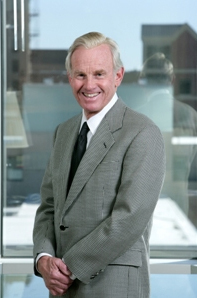 Grand Rapids Attorney Jack Buchanan President Primerus. When we formed Primerus in 1992, we set out to restore honor and dignity to the legal profession and to help rebuild the public’s trust in lawyers and the judicial system. In doing so, the Primerus name has become synonymous around the world with high quality legal services for reasonable fees. Starting with that foundation, Primerus has developed one of the most valuable services to clients available in today’s legal market: helping them find just the right lawyer for their needs. The most important decision a client must make in resolving or avoiding legal problems is finding the right lawyer, with the right skills, in the right location, and at the right cost. Fortunately, Primerus does exactly that for clients. With a membership of nearly 200 firms in more than 40 countries, we offer clients access to the world’s finest attorneys. Our research department does the hard work of searching for and screening excellent lawyers everywhere in the world. But then we go a step further by working individually with clients to find the right lawyer. You can choose a Primerus attorney with confidence. Our nearly 3,000 lawyers have depth of knowledge and expertise in hundreds of specialties and subspecialties. And because our law firms are small to mid-sized, with fewer than 50 lawyers, you will receive personalized attention, excellent communication and enduring relationships. This statement captures the essence of Primerus members and reflects an important part of the culture of the organization. “Good people” in this case could be defined as those who are considerate, honest, trustworthy and interested in others. They are people who believe in the Primerus Six Pillars (Integrity, Excellent Work Product, Reasonable Fees, Continuing Legal Education, Civility, and Community Service). If we have not already had the opportunity, we look forward to partnering with you very soon in your quest for excellent lawyers and client service.